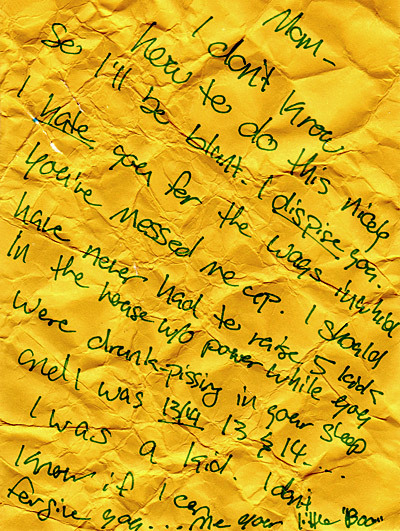 I found this note written on an envelope on the floor in my local post office. What I find interesting is the envelope has no address written on it. I wonder if it had ever got to the intended recipient or if it was just tossed. I feel bad for whoever wrote it.